I may be interested to learn about Java programming. For some one who has a basic knowledge of C programming, how long would it take to get start with Java, giving I won't work more than two hours a day ? Which book did you use to learn Java ? Which IDE or tool do you use ? Edited 1 time(s). Last edit at 11/05/2006 12:21AM by Vity. >>I may be interested to learn about Java programming. I hope that you were convinced by WordRider . >>For some one who has a basic knowledge of C programming, how long would it take to get start with Java, giving I won't work more than two hours a day ? That's a difficult question. Java is easy language to learn, but you have to know some basics of object oriented programming (pure C is procedural only). It depends on your goal. 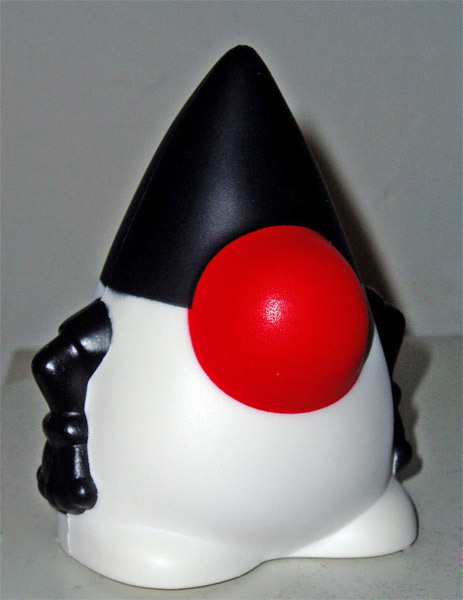 >>Which book did you use to learn Java ? Also Professional Java Programming is a good one. >>Which IDE or tool do you use ? IntelliJ IDEA. It's the best IDE tool ever, but it's commercial. I was really happy when I won a personal license and Java Duke this week . Intellij IDEA is much too expensive for me. Have you tried them ? Jbuilder's architecture is old and it's without useful features. I would recommend you Netbeans 5.5 (they "stoled" most of features from the IntelliJ IDEA). Edited 2 time(s). Last edit at 11/08/2006 01:38PM by Vity. I managed to install NetBeans 5.5 on Linux, unfortunalty I was not able to install it on Windows Me. On Windows Me it says that it require rights (strange since on windows me the user/superuser don't exits as far as I know. Can you tell me what are the advantaged/drawdacks of various solutions ? What do you use for Wordrider ? Which one is the more wide spread among developpers ? >> On Windows Me it says that it require rights (strange since on windows me the user/superuser don't exits as far as I know. I guess that this article will help you more than me: SWT, Swing or AWT: Which is right for you? There is good comparison of advantages and/or disadvantages of every framework. >>What do you use for Wordrider ? Which one is the more wide spread among developpers ? WordRider is written in SWING. It's very customizable and it's easy to learn. Most of applications are written in SWING (eg. Netbeans or IntelliJ too). Only Eclipse and a few applications based on Eclipse platform use SWT. Edited 3 time(s). Last edit at 11/10/2006 11:52PM by Vity. I am wondering how do you start a Java project. Do you have a framework from the begining or do you add funtions gradualy ? All SWING applications have similar structure and WordRider's structure is too simple to make such things. Anyway, UML diagrams can be easily generated in any design editor from sources. I didn't use any framework. I created it based on my experience and articles I read. Framework usually means slower application. I wanted to avoid this in WordRider. On the other hand frameworks are good for huge applications and WordRider starts to be such big. The JVM is quite big. Does it exists a JVM for palm computers? Sorry, I don't know. Use google .